Hi I’m Maggie Lukowski from Maggie Moon Tarot and here are the vibes for the Week. On Saturday, the 11, Venus moves from Taurus and shines her beauty and light on Gemini for the next 4 weeks. So she encourages us to look at different choices, and taking on several things at once because we can do it, the energy of curiosity, variety and sociability. With Venus and Gemini together, I think of finding something I love like that comfy piece of clothing and forgetting to buy two of them and when I go back to the store they are sold out. With this pairing, Gemini is all about communication and Venus about beauty and love so we might find ways to express ourselves through all forms of communication and really loving it. Then on Tuesday, April 14, Mercury moves from Aries into Taurus for the next 6 weeks which is a slower and more grounded energy that helps us with any drama, we won’t allow anything or anyone to rush us when it comes to communication until we gather our thoughts. And it’s also a time to remain flexible. And then on Thursday, April 16th, Pluto goes into his Retrograde until September. It gives us a chance during this period to look dive deep into our selves to identify the things that no longer are working for us, so we can add this time on our calendar to do our inner work and see how this will effect our chart. Note to self, on Friday, we end the week when Mars in Taurus is in a square with Jupiter in Leo. So the Bull and the Lion might do a little roaring and head butting before the New Moon in Aries arrives on Saturday. For this week’s reading I’m using the amazing and contemporary Voyager Tarot, by the legendary alchemist James Wanless, PH.D. I also have a set of Baby Voyagers to put in my pocket to travel with! James is also the author of the Sustain Yourself Cards and many books including the Fortune Formula. If you have never heard James speak before, you are in for a treat. He is filled with enthusiasm and his vibration is high and you will feel this from his cards. James was a guest on our Radio show Personal Empowerment on the Attune Magazine Radio network. I’ve included a link in the about section to listen in the Archives along a link to his website. 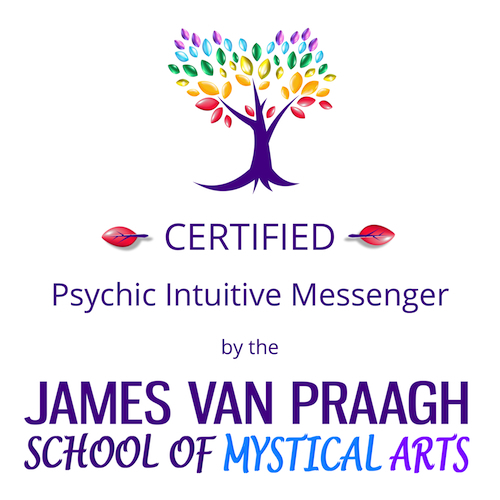 He is also teaching a Voyager Reader Certification Course in May so you can check that out. So let’s begin and see what’s in store for us this week. For the beginning of the week I pulled The Woman of Cups, Rejoicer a court card and her element is Water. The Woman in the card is moved and she has a feel of ecstasy as she immerses herself in all the beauty around her. Her head is uplifted to feel the water on her face, hear the message from the shells and flowing with the tides, the fish and Moon’s cycles. It’s a message of opening up our heart, rejoicing and feeling gratitude for the sweetness, beauty and mysteries of life. These images are very tactile, how the flowers smell, how the the water feels on our face and body. I love it when I swim in the ocean, i feel the sensation of the fish brushing up against me. So as we begin our week, let’s go out and be open to receive the beauty of the simple things, soak in all the sensations, Rejoice in life! The energy Midweek, the Child of Crystals, the Learner another Court card comes out. Crystals is the suit of Swords and it’s element is Air. Like crystals, our minds are multi-faceted. The child is shown is a cave in exploration of new ideas and allowing the mind to be curious. And in the companion book, James writes about this card: “The mind is like a crystal cave….and the child symbolizes our exploration of how the mind works, examining old held beliefs, breaking through fears and letting go of old conditioned perspectives that hold us back.” Midweek the energy encourages us to be curious, be the Learner, Explorer break free of any self-imposed or societal limitations, look at new alternatives, feed you mind with possibilities and feel the wonder of seeing the world through the eyes of a child, fresh and not afraid to experience new things. So this week has tremendous potential to Rejoice, Explore, and Celebrate while staying away from the actions that can lead us off the cliff. And that my friends are the vibes for the week! If you enjoyed this video, I invite you to click on the Like and Subscribe buttons and share with your friends. 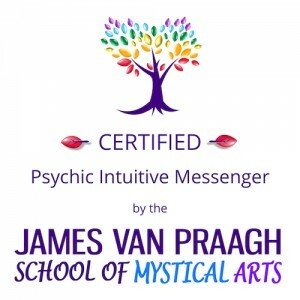 I have included a transcript of the Video in the About section along with a link to the Voyager Tarot, by James Wanless, PH.D. www.james-wanless.com and other places to find James and a link to my website, maggiemoontarot.com if you would like to contact me or schedule a reading. So until we meet again next week, Laugh often, Love much, Create your own happiness, Believe in miracles, Be kind and Support each other. This entry was posted in Angels, Astrology, Divination, Tarot, Tarot Reader, Uncategorized, Youtube and tagged astrology, Bull, crystals, Dionysian players, Divination, Fortune Formula, Gemini, google.com/+Maggiemoontarot_Metaphysical_Consultant, http://maggiemoontarot.com, http://twitter.com/maggiemoontarot, http://www.facebook.com/maggie.lukowski, https://youtu.be/JEJDU7wO5I8, James Wanless, Jupiter, Jupiter in Leo, Leo, Lion, Maggie Moon Tarot, Mars, Mercury Enters Taurus, Mushrooms, Pan, Pink Mushroom, Pluto Retrograde, Tarot, Tarot Reader near Raleigh NC, Venus, Venus enters Gemini, Voyager Reader Certification, Voyager Tarot, www.youtube.com/user/maggiemoontarot/videos. Bookmark the permalink.